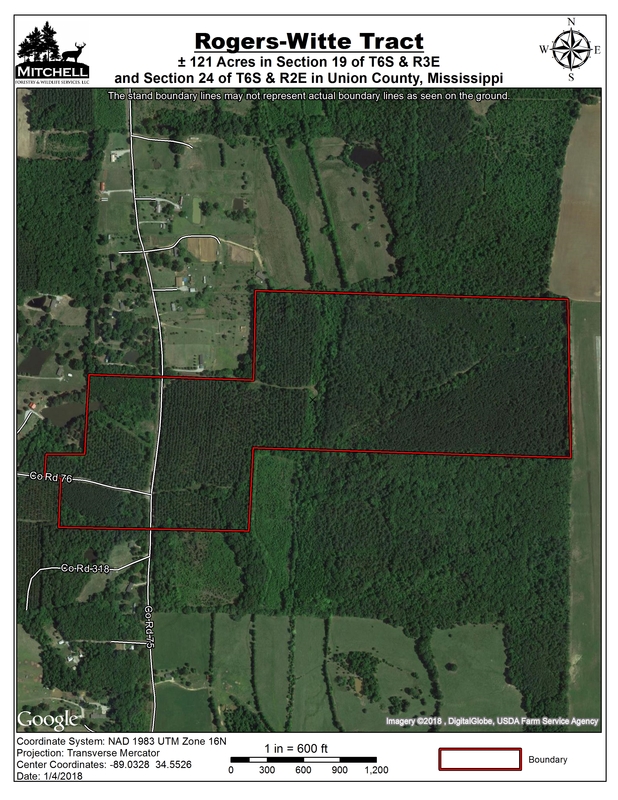 Location: Section 19 of Township 6 South & Range 3 East and Section 24 of Township 6 South & Range 2 East in Union County, Mississippi, 4 miles north of New Albany. 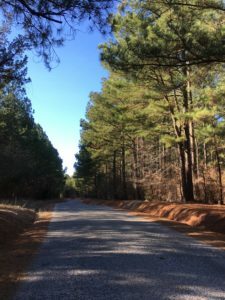 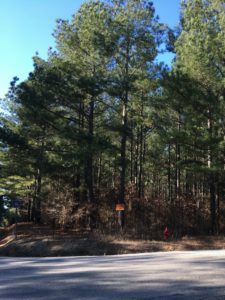 Stand 1 is ±18.7 acres of loblolly pine planted in 1985 that has been thinned once. 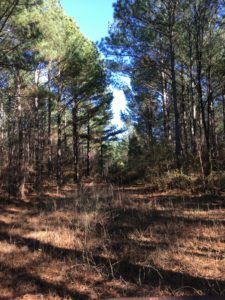 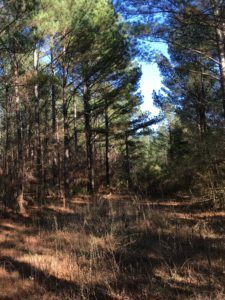 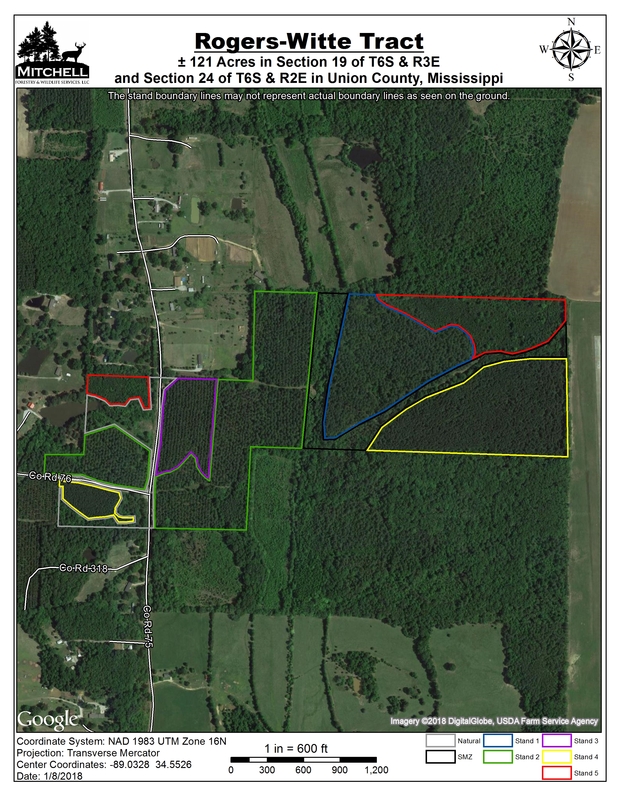 Stand 2 is ±35.1 acres of loblolly pine planted in 1989 that has been thinned twice. 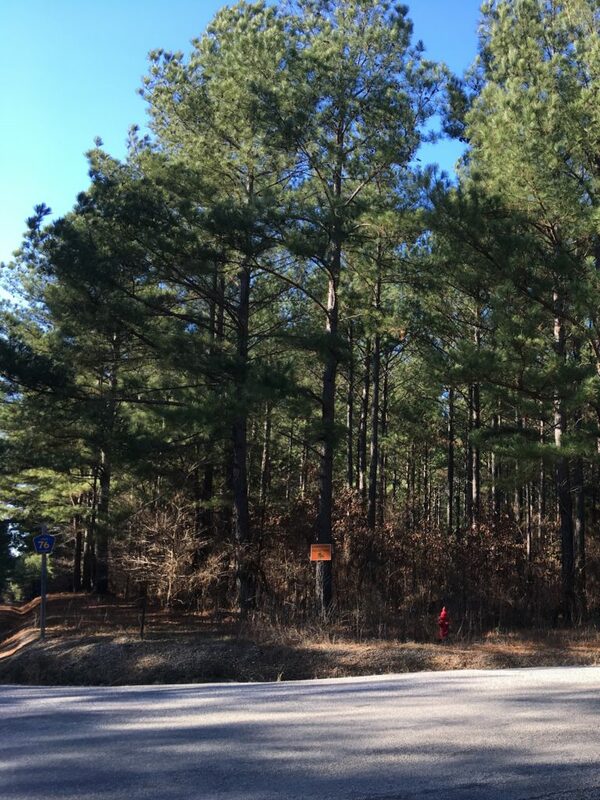 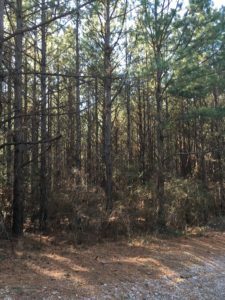 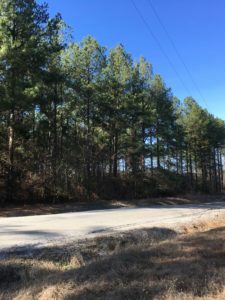 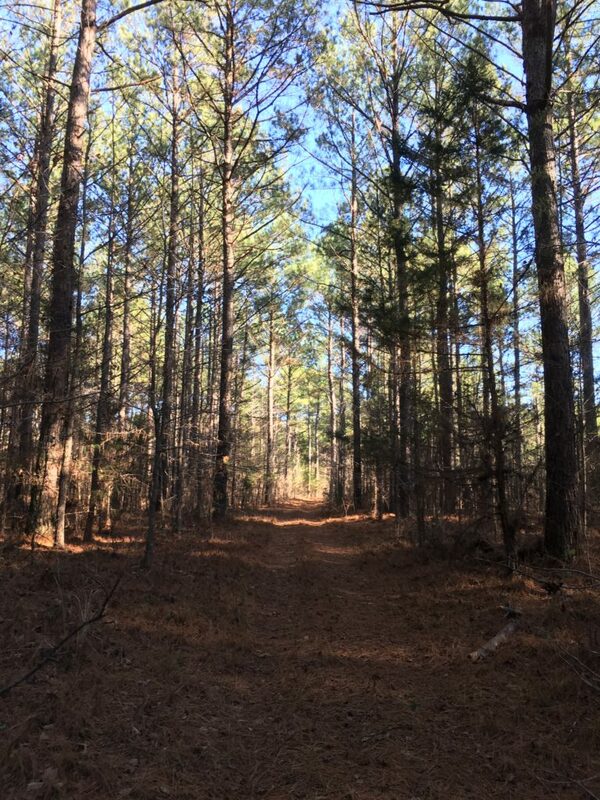 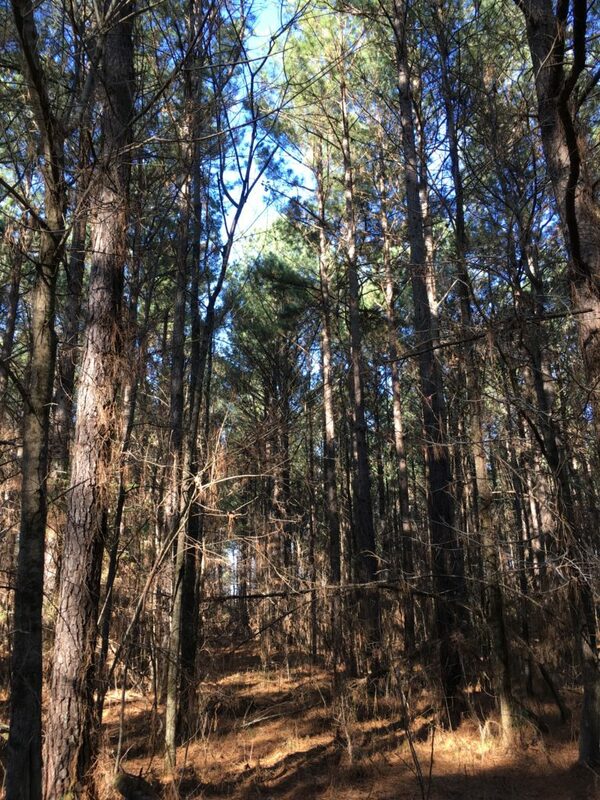 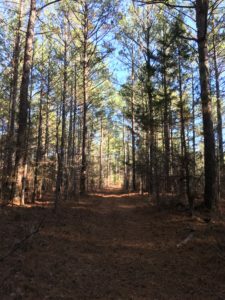 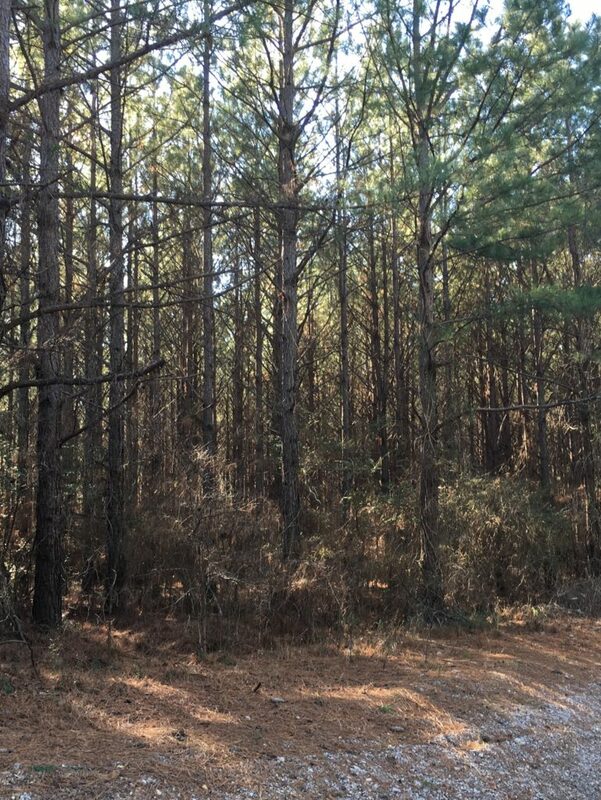 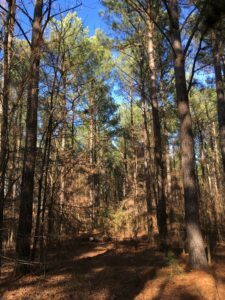 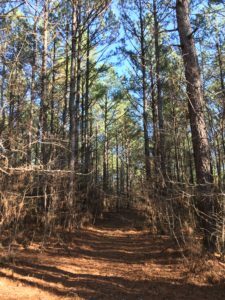 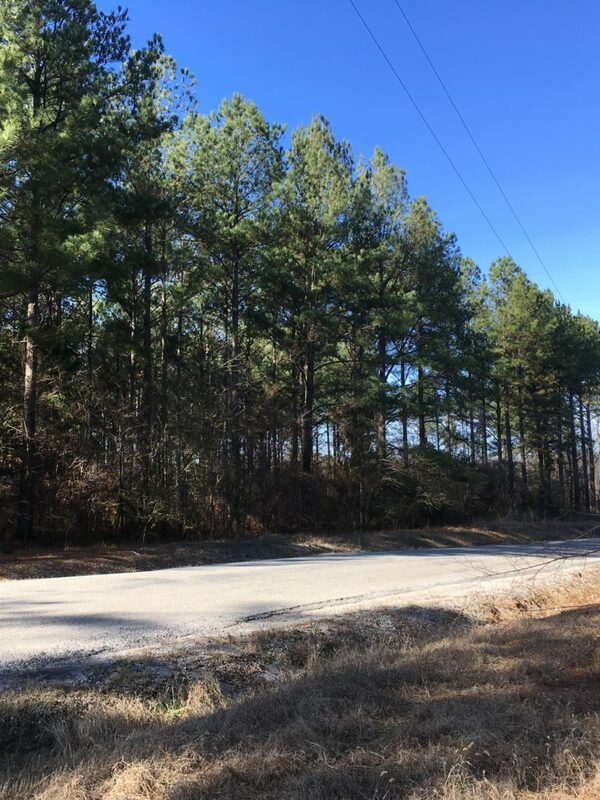 Stand 3 is ±7.3 acres of loblolly pine planted in 1996 that has been thinned once. 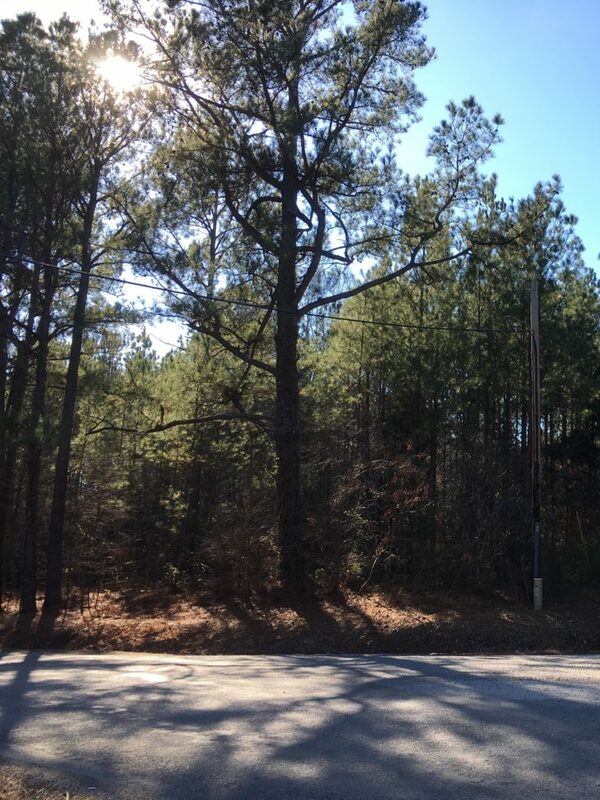 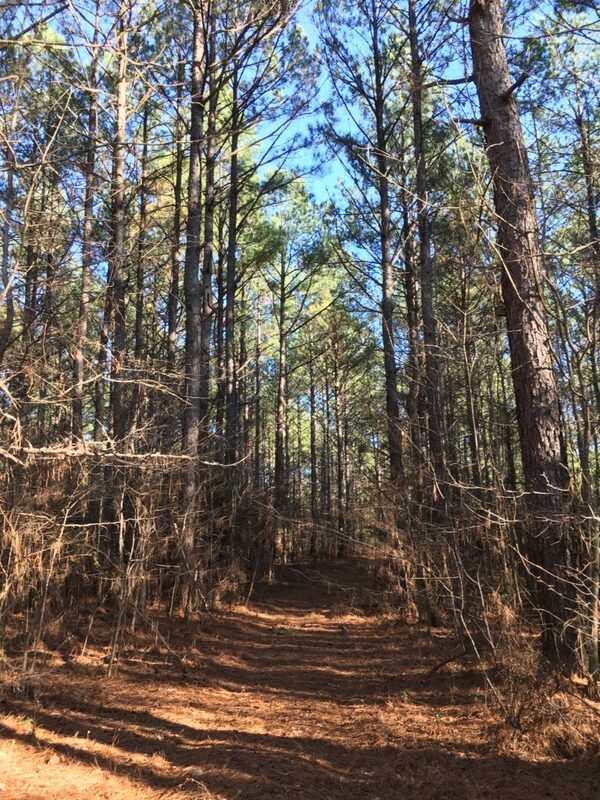 Stand 4 is ±24.9 acres of loblolly pine planted in 1999. 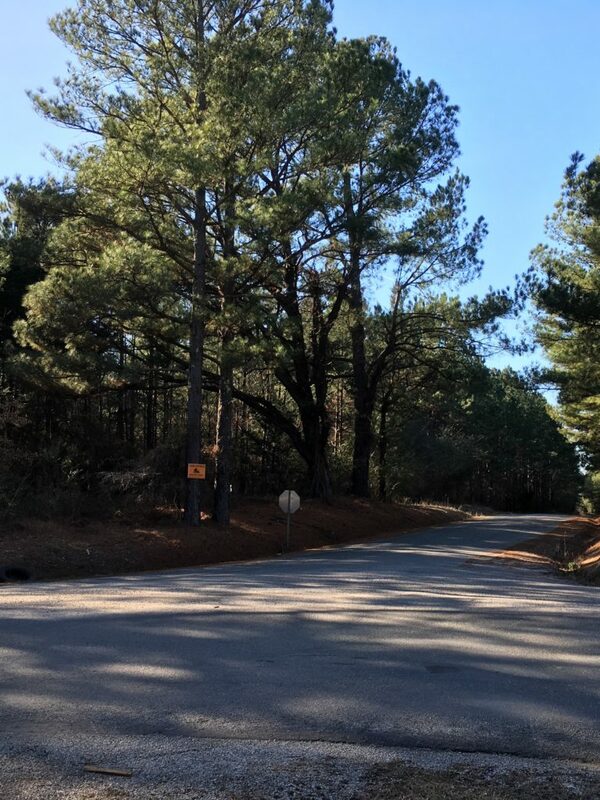 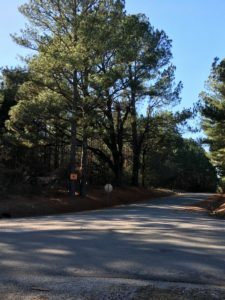 Stand 5 is ±13.8 acres of loblolly pine planted in 2004. 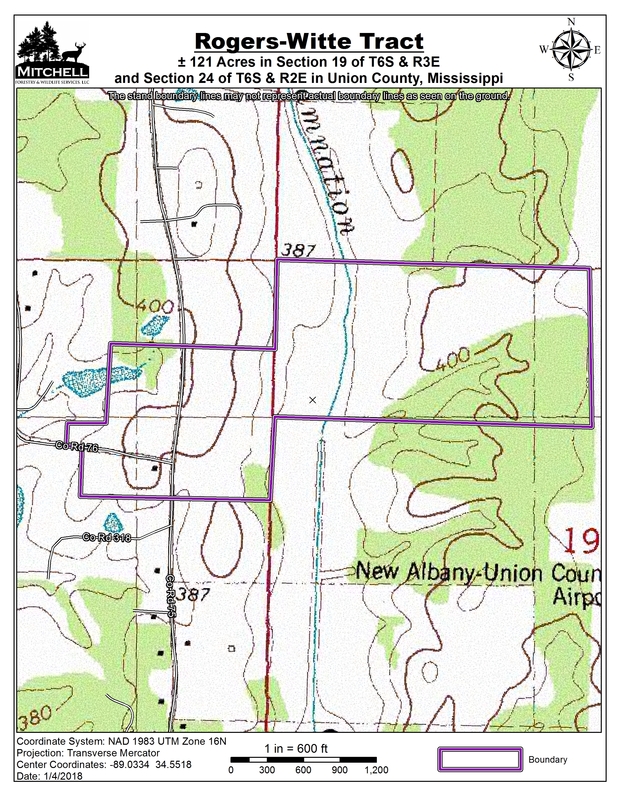 The property also has ±1900 feet of paved road frontage along county roads 75 and 76.